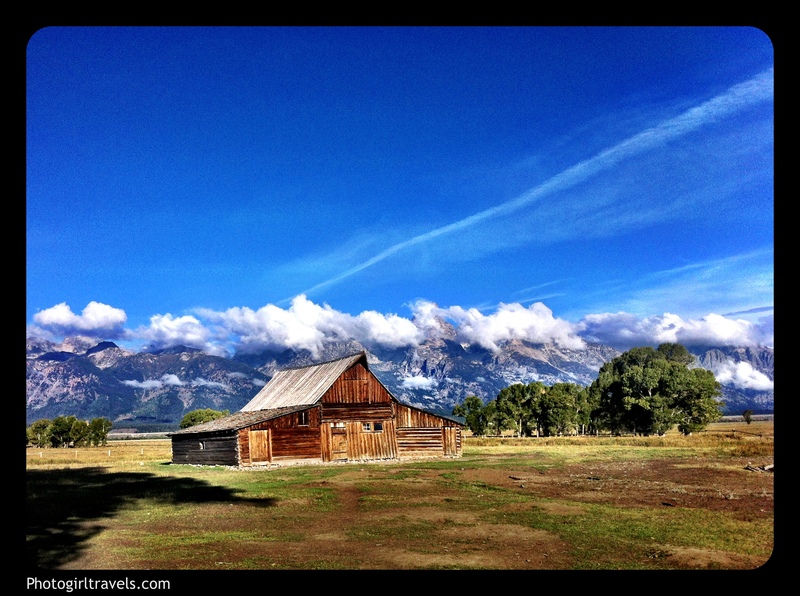 If you look up the Teton National Park you’ll mostly like find photos of a barn. I actually had no idea where it was located, and didn’t realize it was a very popular place to photograph. (And I call myself “Photo Girl” shame on me!) Anyway, when I got up on my second day in Jackson Hole, I decided to hoof it up to Yellowstone to see Old Faithful. My plan was to drive north on 89 and over into the park. 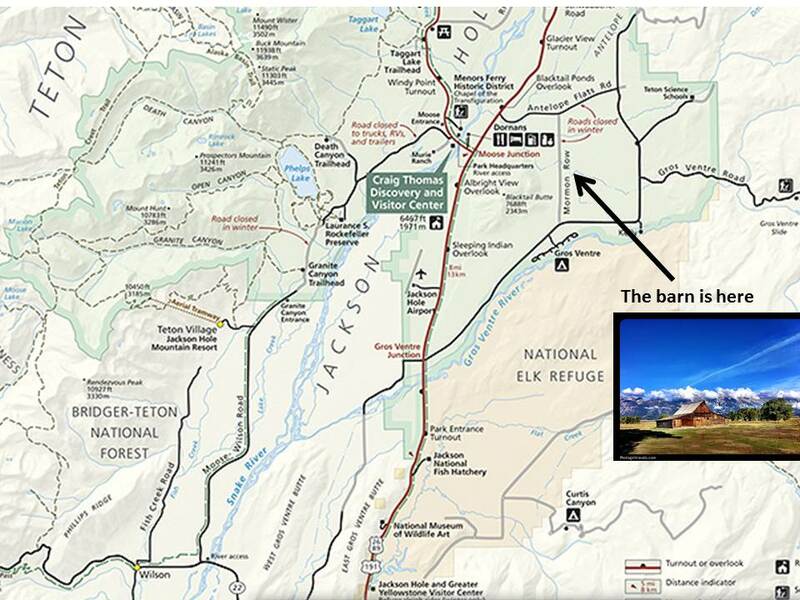 As I was studying the map I remember seeing a loop that ran off highway 89 and then back around to it, So I took it. I put a map below so you can find it if you get a chance to go. The road curved around with beautiful views on both sides. About 1/4 of the way around the loop I saw a dirt road that actually cut over to the other side of the loop. I LOVE dirt roads so I turned left. As my car shook as I wove back and forth to avoid the pot holes, I realized I was the only one around. It is an amazing feeling to stand on a road that is completely silent, except for the birds and crickets. The only other time I have felt this is when I was in Death Valley. While standing by my car, a family of deer sprinted through the tall grass on my left and across the road in front of me. It was pretty amazing. 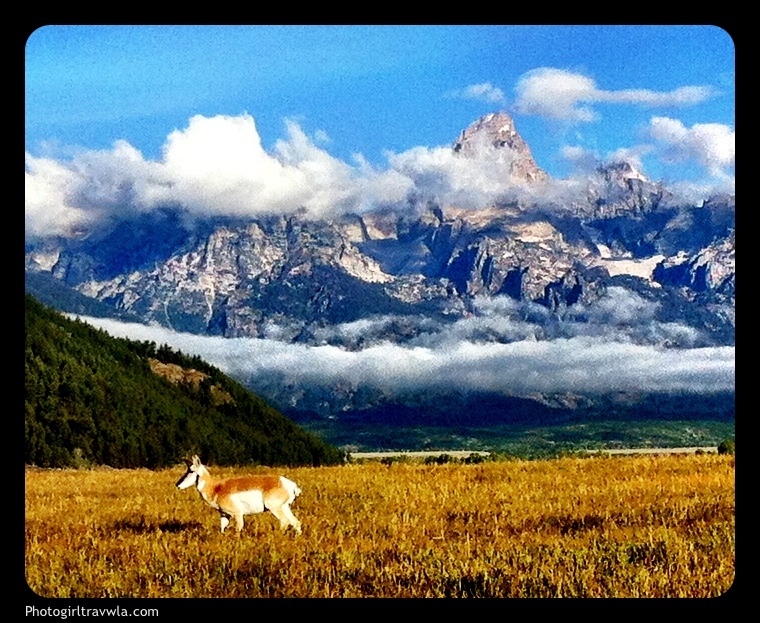 Categories: Wyoming | Tags: backroads, Cunningham cabin, grand Tetons, Jackson hole, Jackson Hole - Mormon Row and the Moulton Barn, Location of Moultan barn, Mormon Row, Mormon Row Holdouts, national parks, Photographing in the Teton National Park, photography, resort, road trip, Salt Lake City, where to find the Jackson Hole - Mormon Row and the Moulton Barn, Wyoming, Yellowstone park | Permalink. Reblogged this on midlife drive.